There is trouble afoot in the land of the five dollar footlong. That's at least what one might infer in light of news that Subway, the world's most ubiquitous fast food chain, plans to shutter a whopping 500 locations across the United States. Perhaps the underrated herb and cheese bread just wasn't cutting it? As a report by Bloomberg explains, the impending domestic closures are part of Subway's plan to expand its restaurant empire abroad. The closings also shouldn't come as a total shock, as the chain has been reducing its footprint in the past couple years, shuttering some 800 locations alone in 2016. While Subway plans to launch even more stores outside the country, it's worth noting that its sales in the US have fallen 4.4% in the last year. To give some perspective, in that same timeframe McDonald's has seen a 3.4% increase in sales, per the report. 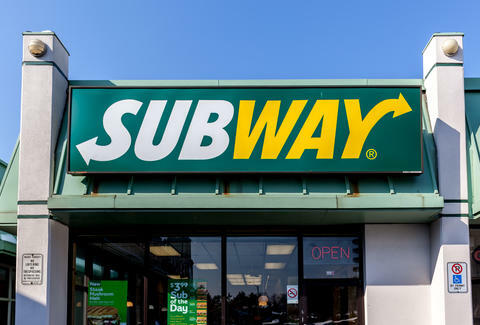 Still, Subway remains the largest in terms of global store count by quite a large margin, with nearly 26,000 locations in the US alone compared to Mickey D's, which boasts roughly 14,000 US outposts. Evidently, the shutdowns are part of Subway's grand plan to focus on improving the locations that will remain open. “We want to be sure that we have the best location,” Subway Restaurants CEO Suzanne Greco told Bloomberg. "Store count isn't everything." To do this, the company will likely up the pace on the restaurant remodels it announced last year, the first facelifts the chain's locations have seen in nearly 20 years. The redesign includes brighter colors, new lighting, better furniture, and tech-forward features like touchscreen ordering kiosks, all of which it thinks will improve the customer experience and domestic sales, according to CNBC. It's also implemented a new loyalty plan that rewards customers with $2 off any menu item for every $50 spent. If none of that works, they could always consult the folks at Chick-fil-A, who're doing quite well on the business end of things.